Having just had the good fortune to spend the weekend in Bristol attending Upfest 2017 and being presented with an absolute abundance of new Street Art being created all around Bedminster of which we will of course be posting on the event soon but due to the time that will take to process, in the mean time we thought we would take a look at the excellent array of Street Art we got to see around Bristol beyond. So here we are going to share some pieces we found on a quick jaunt around Stokes Croft, Nelson Street and a series of works we found around Bedminster, mostly placed up for previous Upfest events and of which are still standing. A treat to find Pad at work in the Bearpit on what was set to be a fantastic piece. Great work by Pad with a subject and colour scheme that really fits its environment. Detail of work by Pad. One of many Lost Hills paste-ups we found over the weekend. Paste-Up work by Lost Hills along Stokes Croft. Work by Aspire along Stokes Croft. 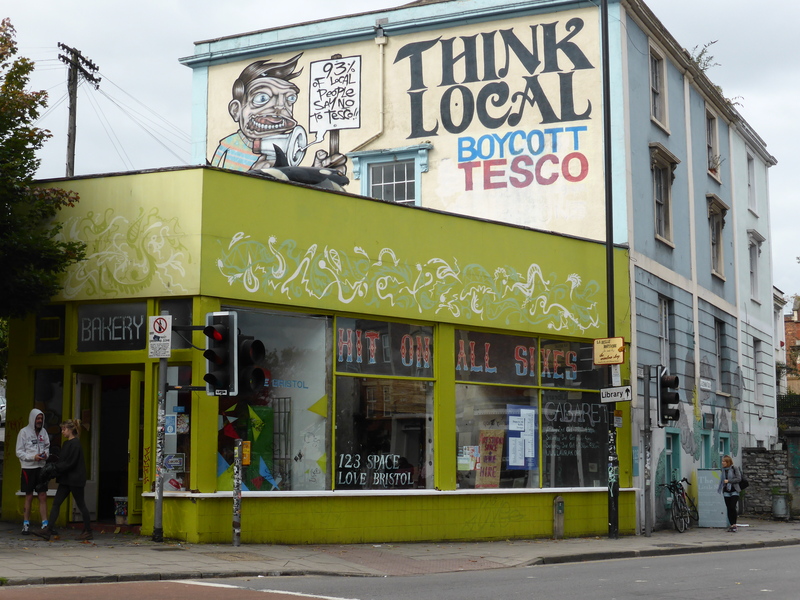 Epic building wrap by Cheba at the bottom of Stokes Croft. Work by 3Dom22 along Stokes Croft. Work by Mau Mau along Stokes Croft. Works by ??? along Stokes Croft. Work by Phlegm in Hillgrove Street, just off of Stokes Croft, and depicting a take on the iconic woodcut ‘The Great Wave’ by Hokusai. Works by Xenz (above) and Chinagirl Tile (below) in Jamaica Street. Work by Chinagirl Tile placed up this last weekend whilst she was over for Upfest. Superbly fitting and placed work by Chinagirl Tile in Jamaica Street with a work she placed up on her visit to Upfest in 2016. Breakdancing Jesus by Cosmo Sarson along Stokes Croft, certainly another of the area’s most iconic landmarks. 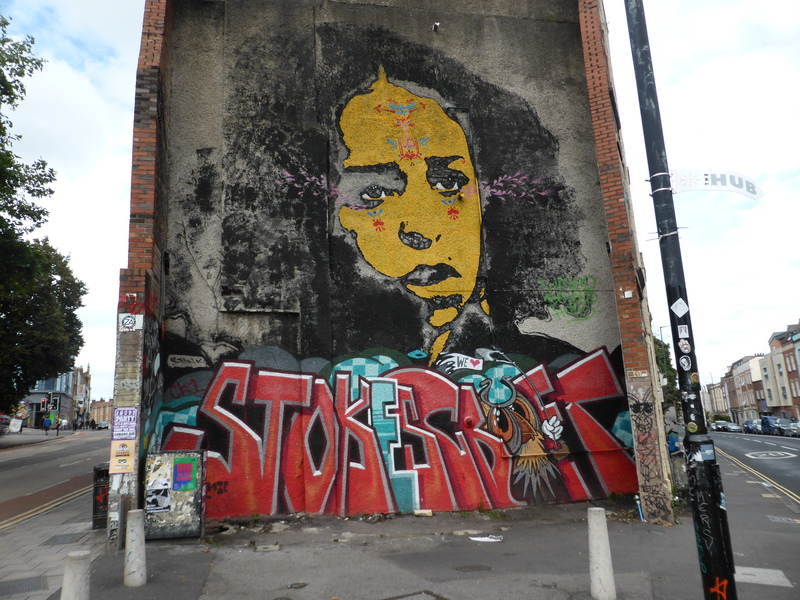 Work by Stinkfish along Stokes Croft. Work by ??? along Stokes Croft. Work by Sepr along Stokes Croft in defiance of Tesco moving into the area and eliminating long-standing local businesses. 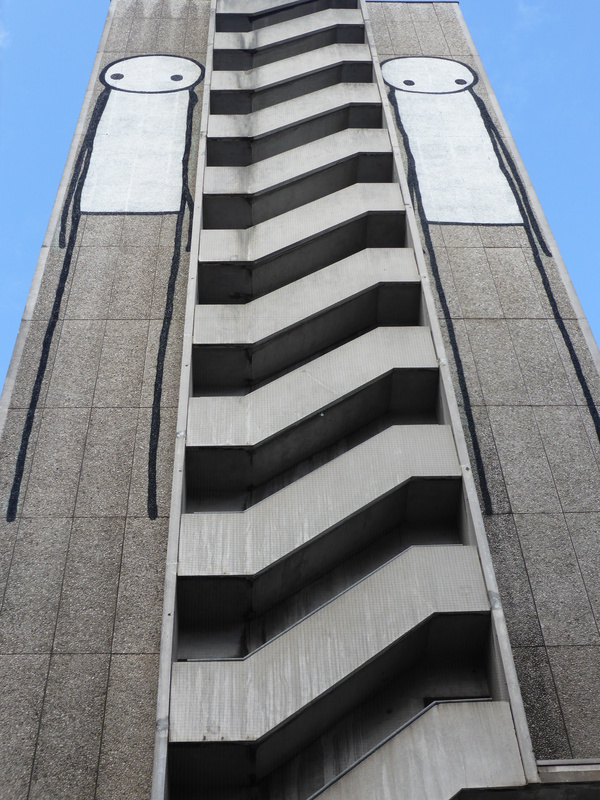 Work by Stik located in Nelson Street. 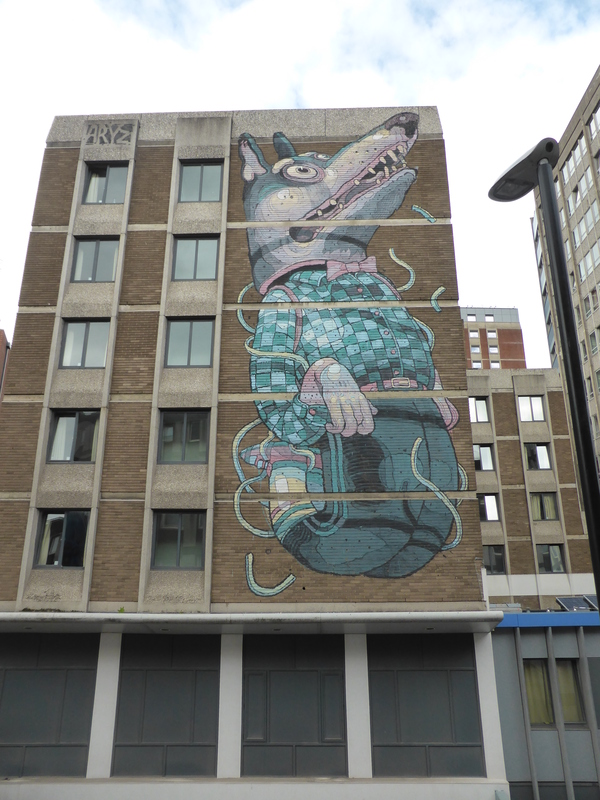 Work by Aryz located in Nelson Street. 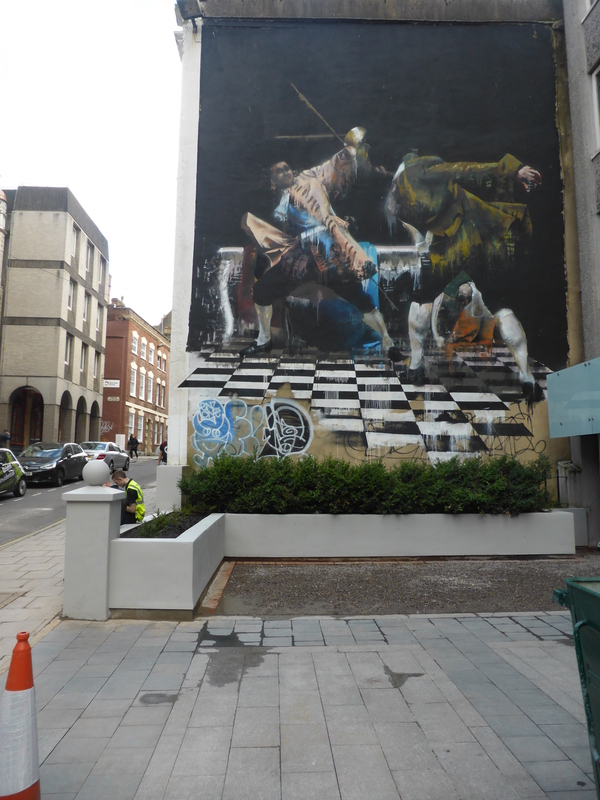 Fantastic work by Conor Harrington just off of North Street. 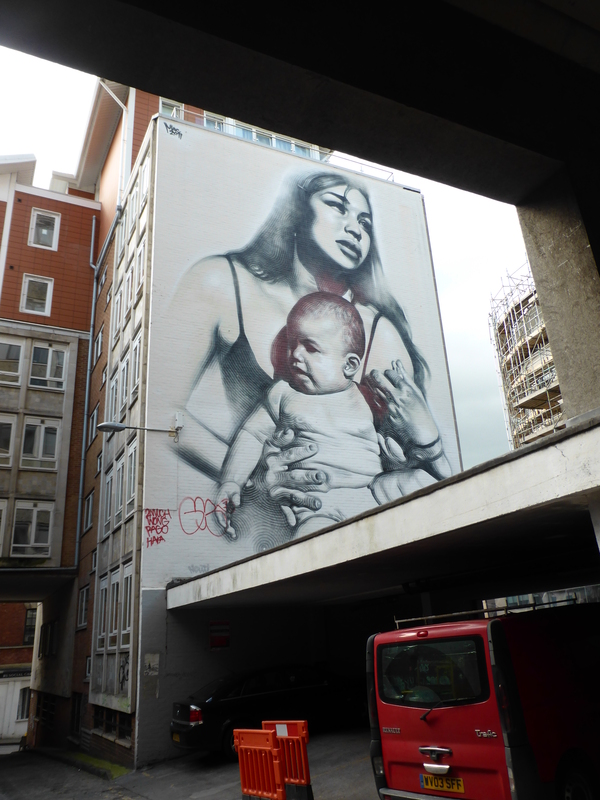 Beautiful work by El Mac along in Quay Street. Work by M-City along Quay Street. 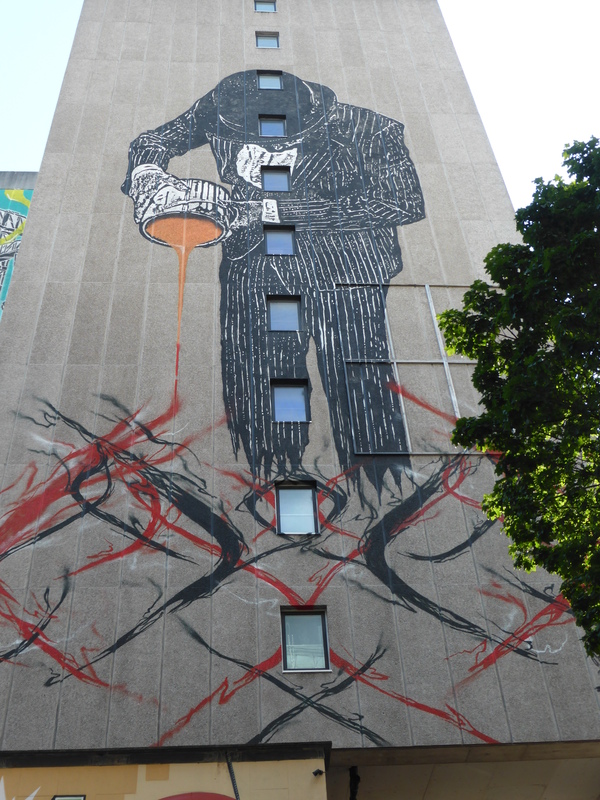 Work by Nick Walker in Quay Street. Work by Pelmo along West Street, placed up for Upfest 2016. Work by Andy Council along West Street, placed up for Upfest 2016. Work by Andy Council originally painted in 2015 and reworked this year. A superb creation with this galloping horse being constructed from many of Bristol;s landmarks. Excellent work by Dan Kitchener just off of West Street, placed up for Upfest 2016. Work by Loch Ness along Cannon Street. 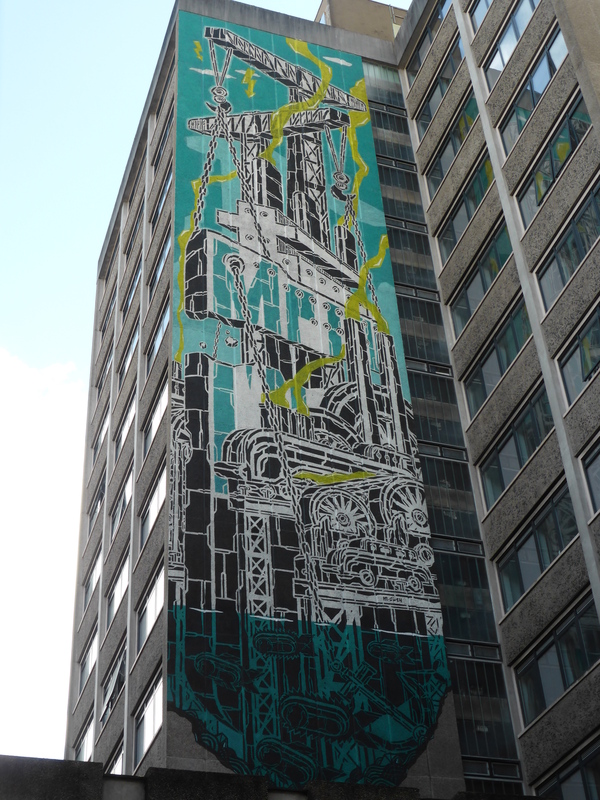 Work by Gregos in the Steam Crane along the bottom of North Street, placed up for Upfest 2015. Work by Lost Hills in the Steam Crane along the bottom of North Street. Work by Birdo along North Street, placed up for Upfest 2016. Detail of work by Birdo. Work by Pref ID along North Street. Work by Boe & Irony along North Street. Work by Copy Right along North Street. Work by Andy Council along North Street. Fantastic work by Irony & Boe just off of South Street, placed up for Upfest 2016. Superb work by Chinagirl Tile in the garden of the Hen & Chicken along North Street. We are not sure who put these plaques up around town, but we certainly like them. This work was found along North Street. Work by Christiaan Nagel along North Street. Work by Sterling along North Street. 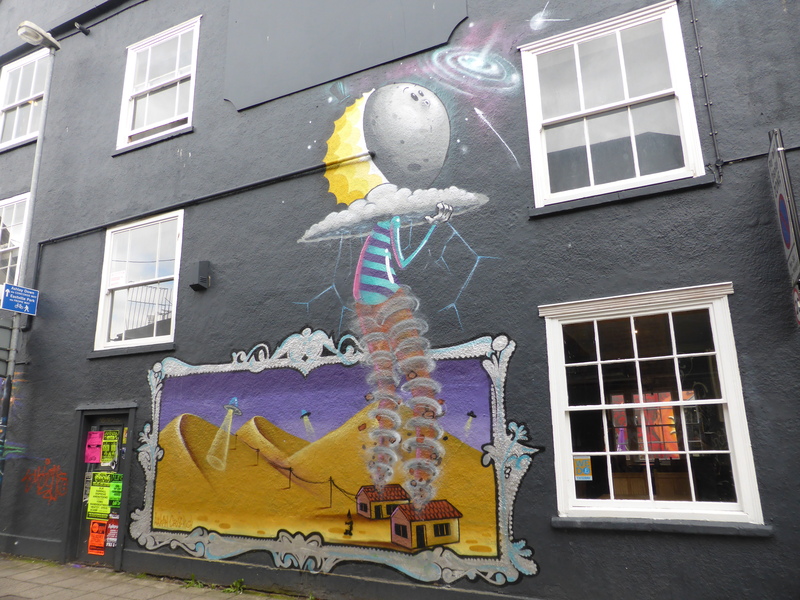 Nice pictures – glad you enjoyed your trip to Upfest. I look forward to your post. The first unknown artists are T-Rex and Ryder, and the second unknown is Tom Miller. 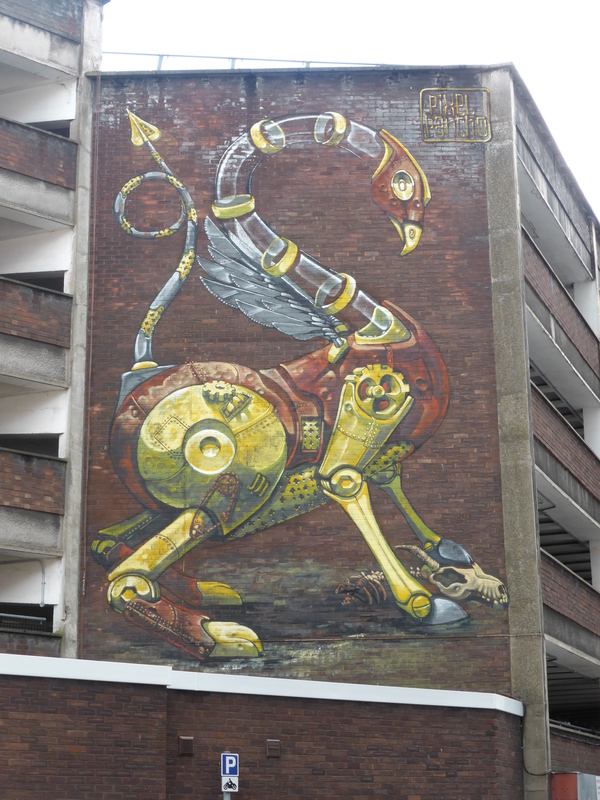 Type Tom Miller Bristol into Google images…A fine art graduate who is heading for great things.